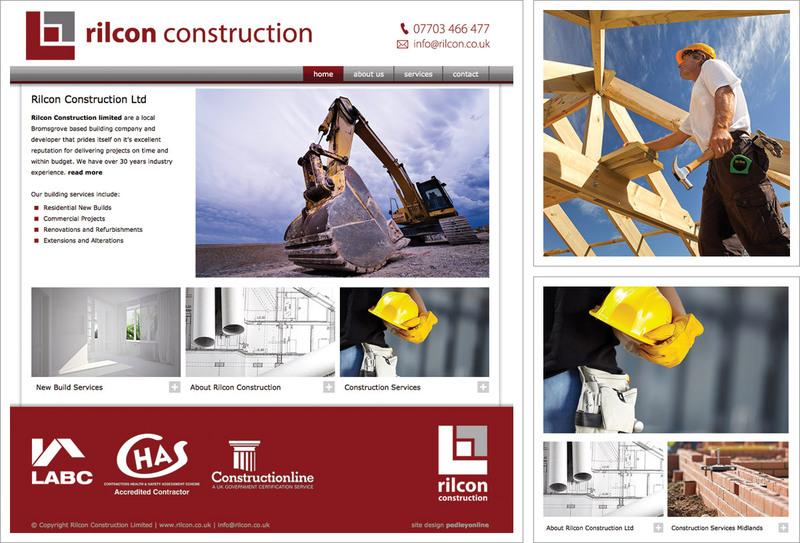 A small yet completely expandable website for Bromsgrove builders and developers Rilcon Construction Limited. Pedleyonline worked with Rilcon to design their company logo before moving on to develop their new website. The new site features good on-page SEO, intuitive navigation, scope to develop content via individual more detailed services pages in the future if required. Each page has a clear display of contact information and a link to a secure online enquiry form. Dynamic content is incorporated with use of a changing/rotating image banner on the homepage and to finish off we added a Rilcon Favicon. Read more about Rilcon in our web design blog.